This morning in metals news, President Donald Trump and President Xi Jinping reached an agreement that at least temporarily puts a cap on the escalation of trade tensions, Chinese steel and iron ore prices rose on the news, and Chinese copper premiums hit an 18-month low. 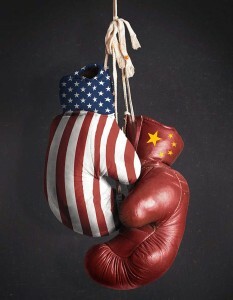 The Group of 20 (G20) meeting between Trump and Xi had been much-anticipated, particularly as the U.S.’s $200 billion tariff package impacting Chinese imports was set to go from a 10% tariff to 25% at the start of the new year. That is, at least, it was. After talks Saturday, Trump and Xi agreed to a 90-day trade truce of sorts. As a result of the agreement, the U.S. will not escalate the tariff rate as previously scheduled. Of course, it remains to be seen what can be accomplished within the upcoming 90-day window. On the heels of the G20 summit that concluded over the weekend, Chinese iron ore and steel prices picked up a bit of momentum. According to a Reuters report, SHFE rebar futures jumped 7%, while the most-active iron ore futures contract on the DCE jumped 5.9%. Meanwhile, despite the backdrop of relatively positive news of the G20 trade truce, Chinese copper premiums dropped to an 18-month low, Reuters reported, reflecting weaker demand. According to the report, premiums fell 10.7% from Friday.